Not just a new bag. As mentioned in my previous teaser post, this is my new favourite summer bag, and at the same time, an early birthday present from my friend Eva who owns FALTSO boutique in Samos. 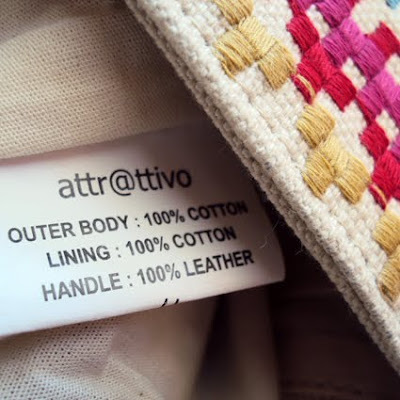 Anyway, the bag is by Attrattivo, which is a Greek clothing company. 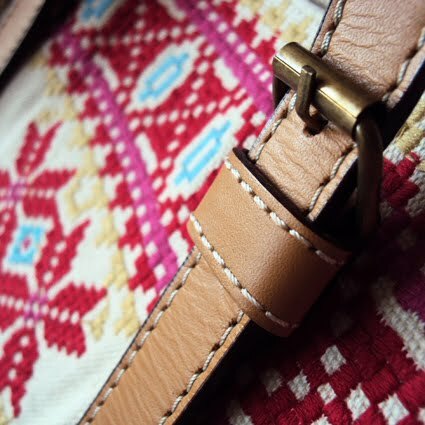 I love that it's made of all natural materials and how the pattern was totally inspired by traditional Greek embroidery. Even if the tag says MADE IN INDIA. It actually looks a lot like pixel art. 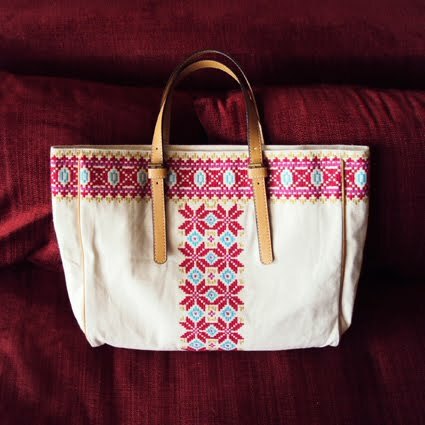 This is such a pretty bag! Beautiful!! 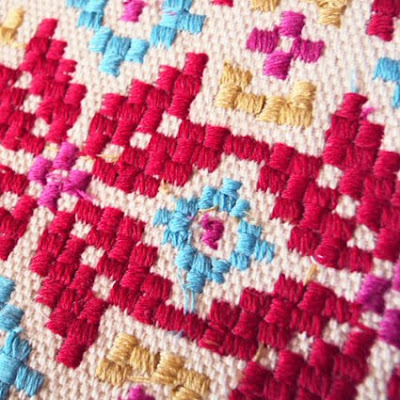 I really fell in love with the embroidery.